In Germany, years before the second World War, a 60-year-old man built himself a camera. The camera wasn’t normal. It could magnify an object up to 30 times its actual size. This device opened up an entire world to the man, and he shared what he found with the rest of the world. 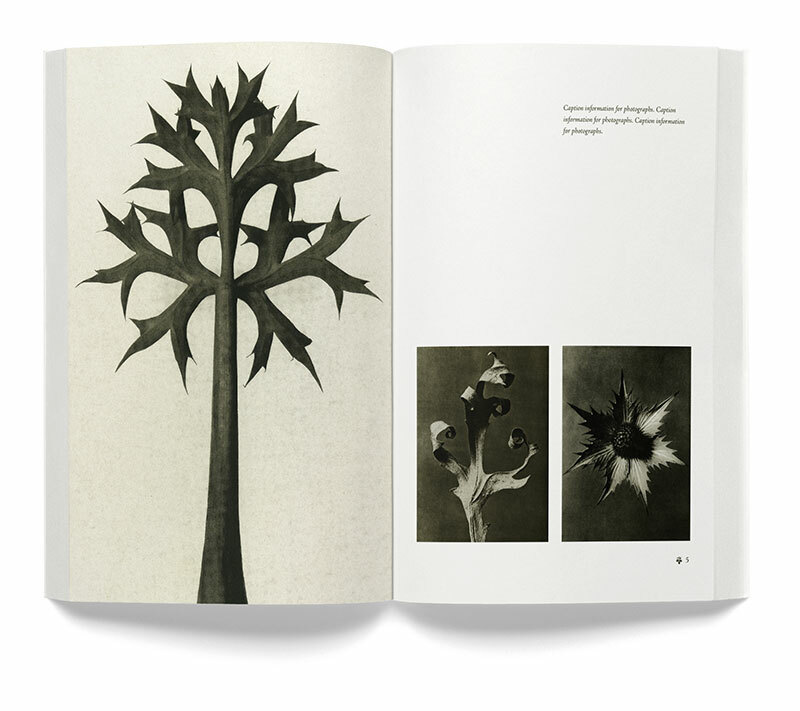 Karl Blossfeldt first published his photographs in a book titled, Urformen der Kunst (Art Forms in Nature) in 1928. It was an overnight success and devotees were fascinated by the abstract shapes and structures in nature that his photography revealed. 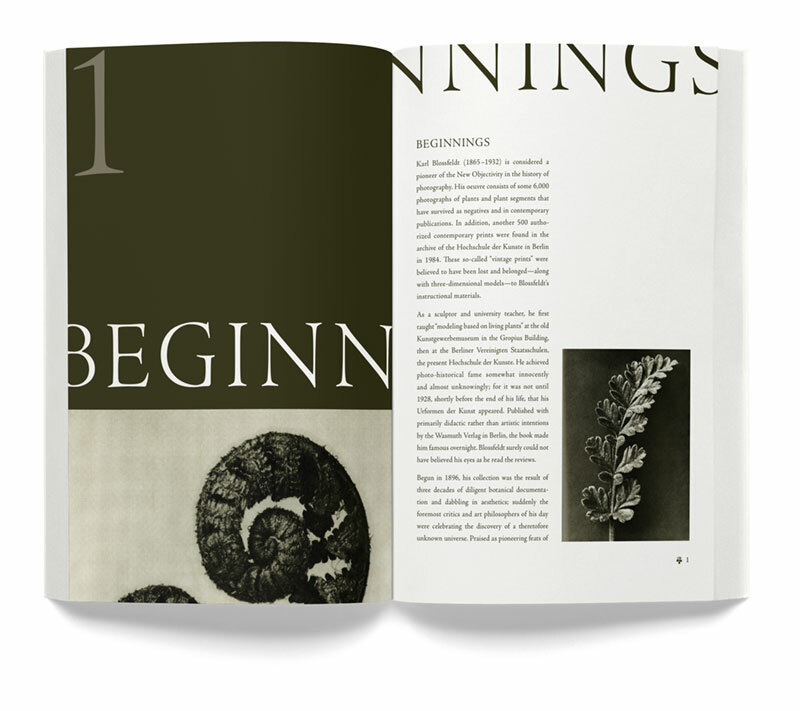 Given access to his fantastic photography and some text, my challenge was to design a book that would present his work in a means that was both intriguing and invisible. I needed to suggest the mystery of his photography while not distracting from the beautiful images themselves. I began with a classic typeface that reflected the beauty of pen strokes and grounded the book in more of a traditional design. 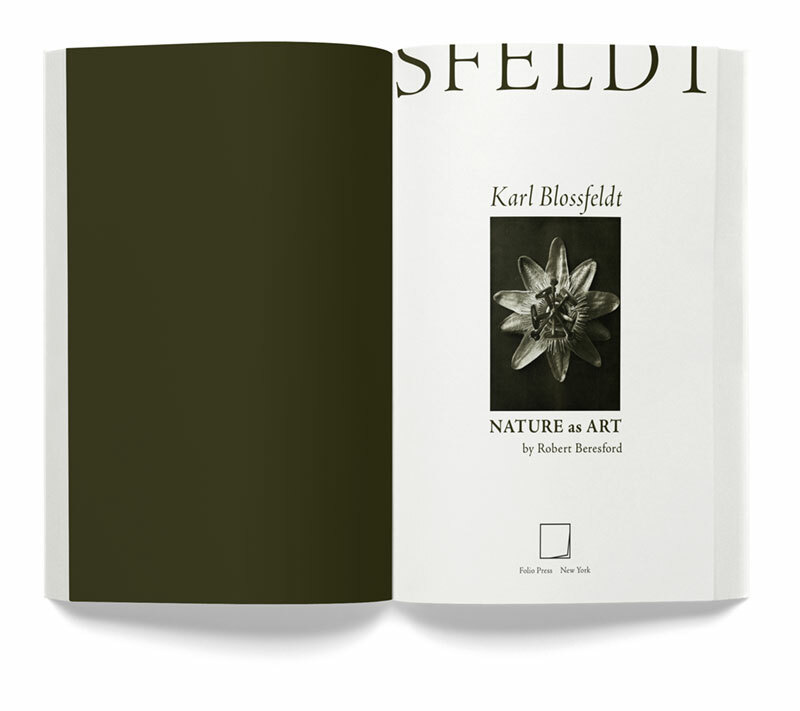 But then, I took what was common and accepted and I began to break it up, move it around so that what is normally considered common became surprising and unexpected, much like Blossfeld’s photography. 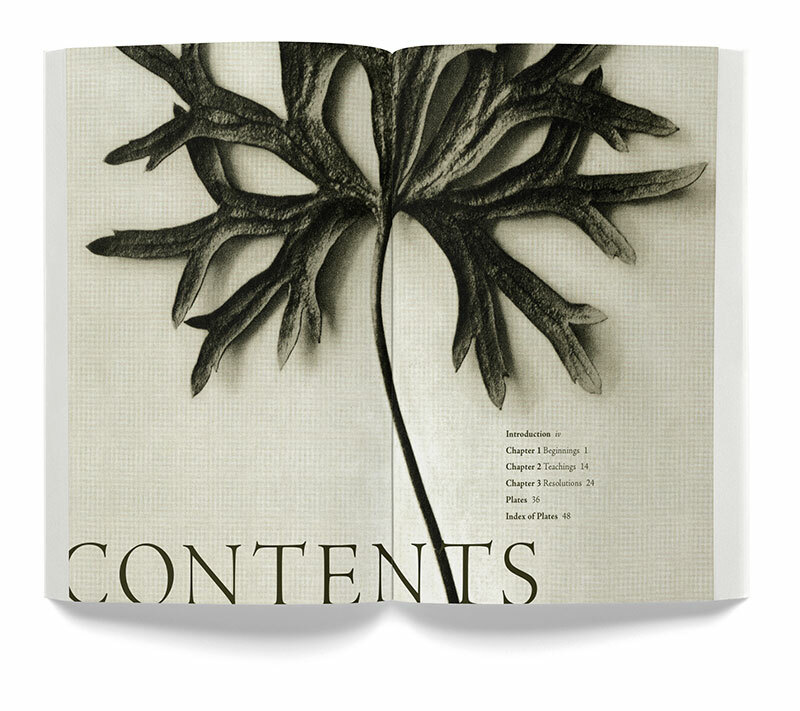 That was enough to capture the readers’ attention on the cover and title page, but then, for the text itself, I pulled back and allowed the photographs to speak for themselves. Nothing distracts more from an art book than over-designing. I kept the tones soft to reflect the colors found in his duo-tone photography, but then offered generous margins and white space to keep the focus on the photographs themselves. 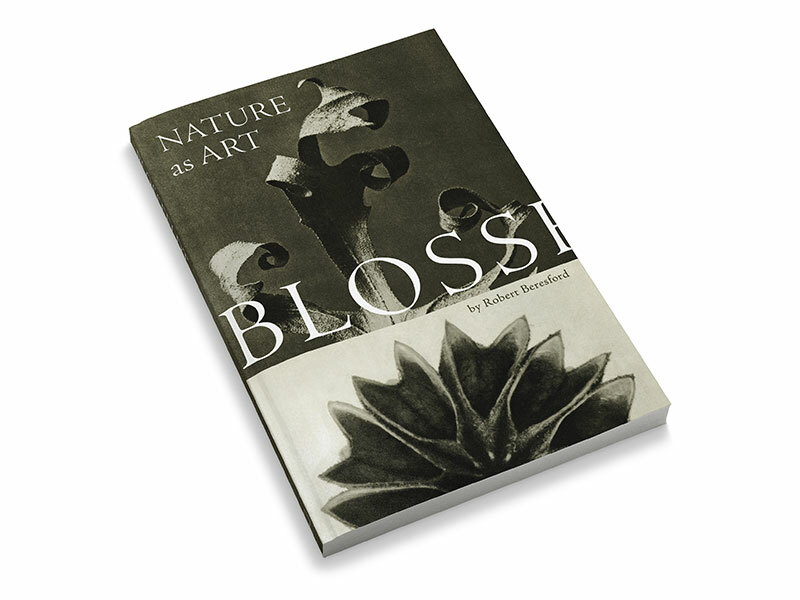 In the end, the cover design intrigues, but then pulls back to allow readers the delight found in Blossfeld’s photography.